If you are a fiber gal ( I am just a sad wannabe....read my post on my non-knitting abilities!) I just wanted to post a reminder that my friend Jen's shop, Northeast Fiber Arts' biennial fiber challenge, has now officially launched! Aside from carrying some of the most beautiful and unusual fibers I have ever seen ( bison yarn, anyone?) she herself is just a master knittress! 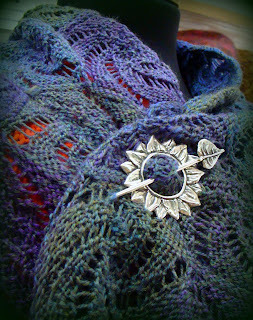 If you have been admiring my shawl pin, you could possibly end up with one of your very own, and at very least learn some new techniques from her You Tube videos!There are a whole bunch of other prizes too, and tons of inspiration on her site. 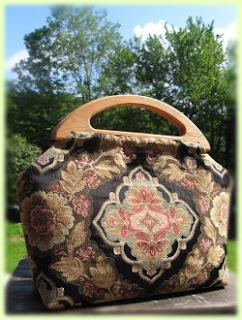 My friend Martha is giving away one of her amazing knitting bags( these have all kinds of compartments inside, and are made with the most incredible craftswomanship!) and I believe there will be lots of yarns and gift certificates too. Check out some of what is going on over there, if fiber artistry is your thing.. or her very interesting blog, www.spinknitfeltanddye.blogspot.com ( did you know you could make dye from lichen? she tells you how! )...perhaps somewhere in this is the perfect first project to get your creative juices flowing after a summer 'knitting break'?